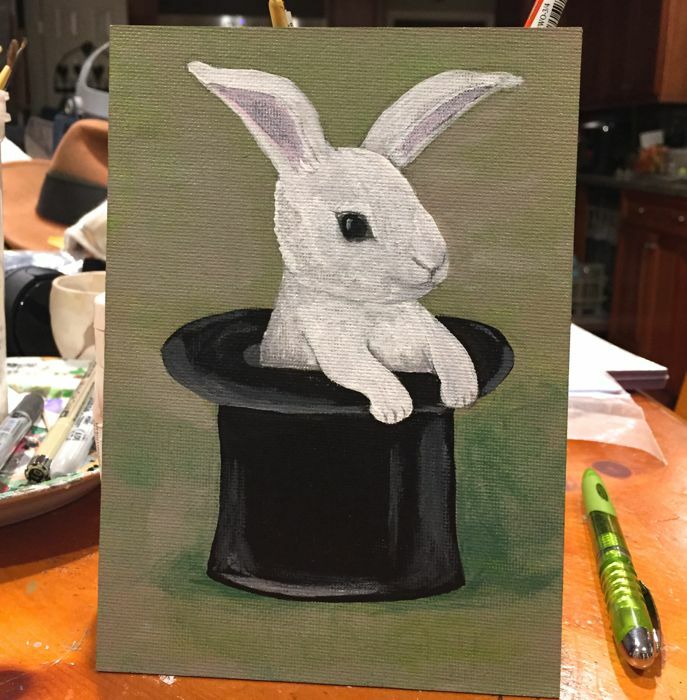 Here is the Magic Bunny, painted in her top hat. Awwww - so cute! Looks pretty good to me! So utterly magnificent, and magical, and real. That bunny has a soul.